Listen to our podcast on human evolution, technology, and CRISPR. Some famous scholars, no less than Stephen Jay Gould, have pronounced human evolution over. Perhaps this seems intuitive; we’ve conquered many diseases, have better nutrition and hygiene across the board, and have generally removed many of the SURVIVAL pressures that typically drive natural selection. But today’s guest disagrees. 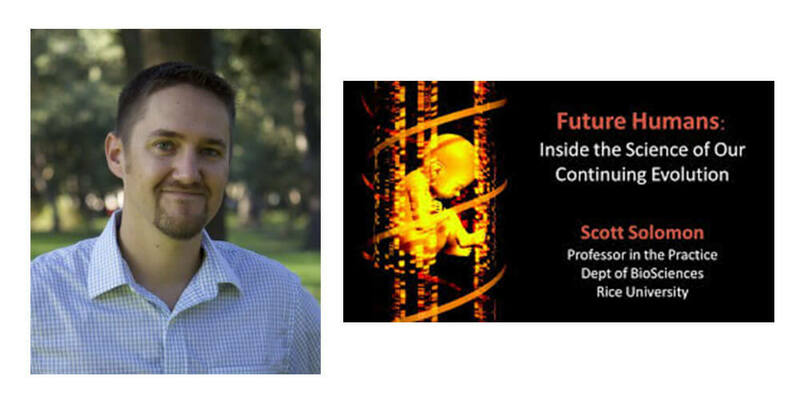 On this episode of Think Bigger, Think Better, I’m excited to host Scott Solomon, an evolutionary biologist, professor, science writer, and author of the book Future Humans: Inside the Science of Our Continuing Evolution. Scott and I talk about how he became an ant biologist, why he’s so fascinated by evolution, and ways humans are guiding our own evolution – for example, through online dating, IVF, having children later, and more. Scott outlines the main arguments against the idea that humans are done evolving and points out that we’re not as special as we might think when it comes to avoiding evolution. We also talk about CRISPR, a technique for altering a nucleotide or group of nucleotides. Nucleotides are one of the building blocks that make up DNA, and being able to change these building blocks opens up potentially amazing – and possibly troubling -opportunities for the future of human evolution, depending on their application. You may have seen CRISPR in the news recently – a Chinese scientist has claimed to have altered the genetic makeup of twins, giving them immunity to certain diseases, including HIV. Scott and I touch on some of the important ethical questions that arise when humans use these sorts of technologies, as well as the implications for becoming the first species in history with the ability to guide its own evolution. How Scott became an ant biologist working in the Panama canal. The argument for why human evolution has ceased. The three lines of evidence that suggest human evolution is ongoing. Why the phrase “survival of the fittest” doesn’t put the focus on truly important forces in evolution, like fertility. How prosperity affects survival and evolution. How humans manipulate mating and social cues today. How online dating contributes to a demographic shift toward increased mixing of different human populations. What CRISPR is and some of its potentially exciting applications. Ethical and necessary questions that arise when discussing the editing of human genomes.